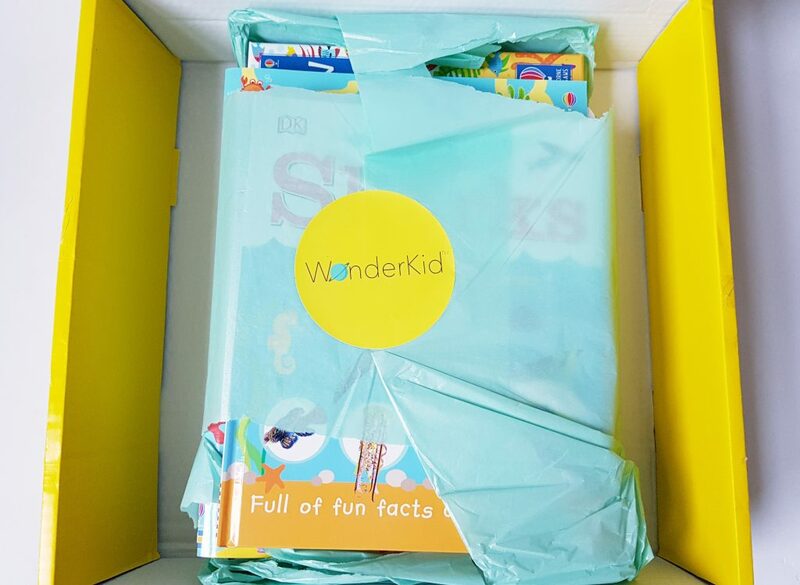 Wonderkid Junior is a quarterly educational subscription service for kids age 3 – 6. 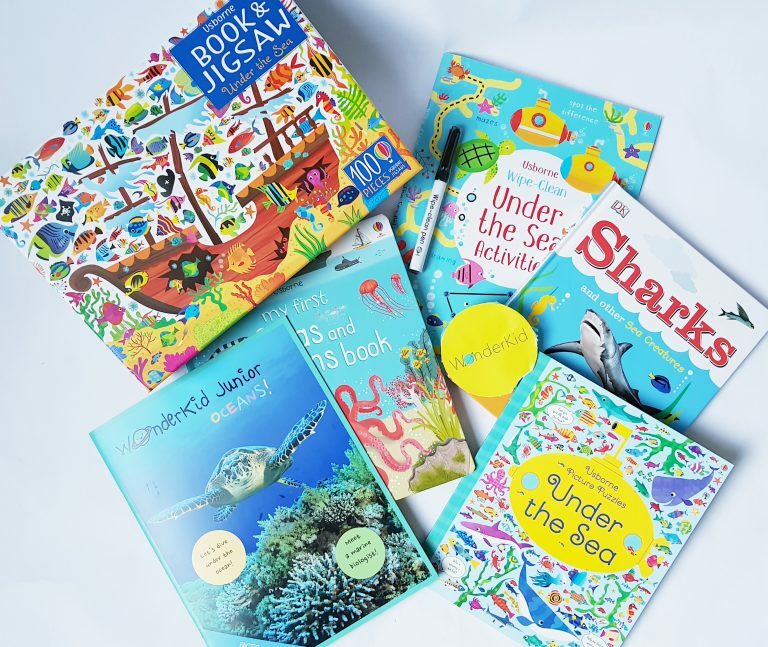 Each box is themed, and contains their own magazine plus a selection of books, games and activities. It costs £34.30 per month. I’ve been sent their Oceans box to explore. 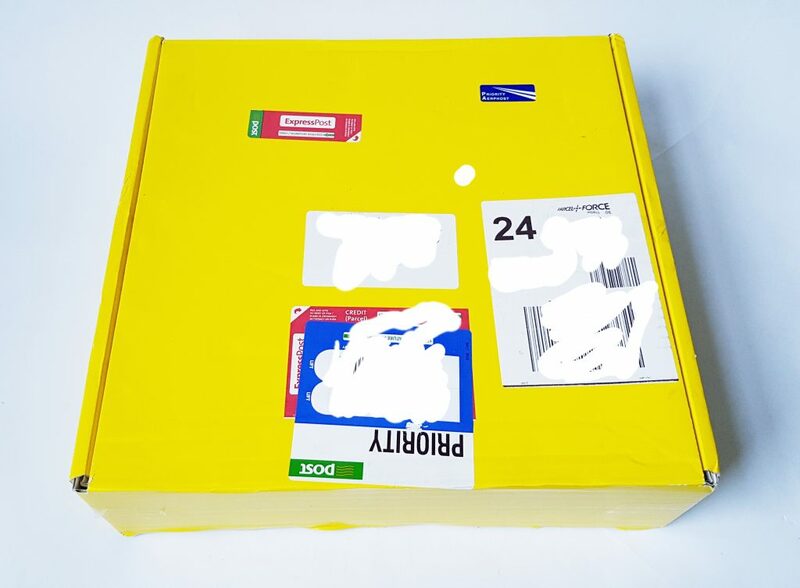 I love the big yellow box, though there wasn’t any branding on the box so I was slightly puzzled until I opened it. 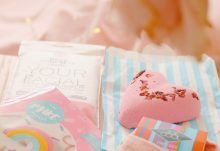 After all, it’s nearly Christmas so we’ve got a lot of parcels arriving! Lots of books! I love the wrapping, though it’s understandable that it’s torn as it’s been through the rigours of the mail service. 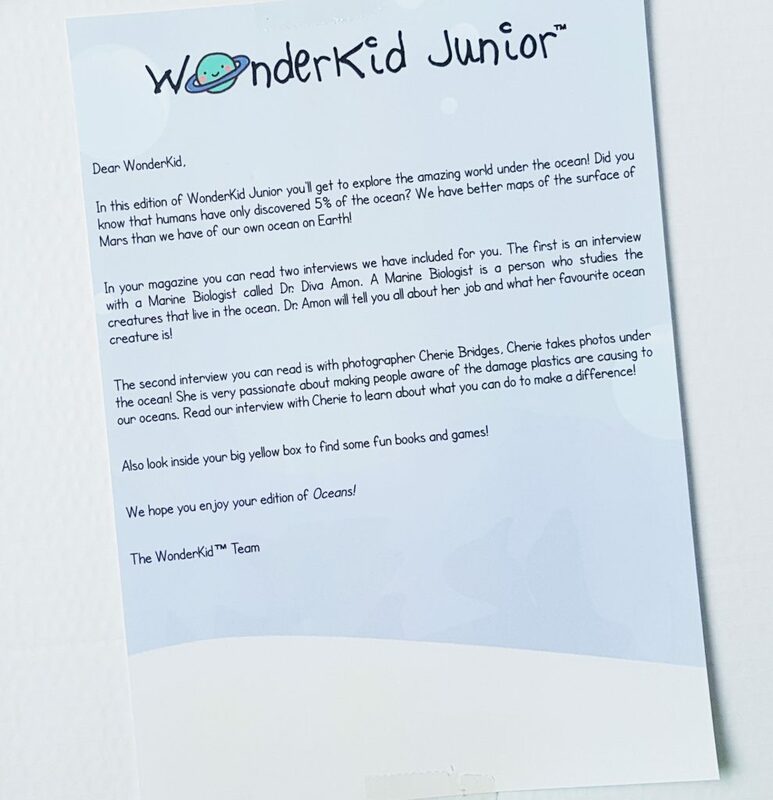 Here’s the welcome letter, which is taped to the inside of the box lid. There’s the theme, and a little overview of what is inside their magazine. And here is the magazine! 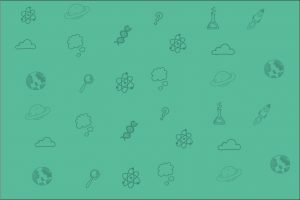 There are interviews, as said in the letter, plus activities and lots of information. 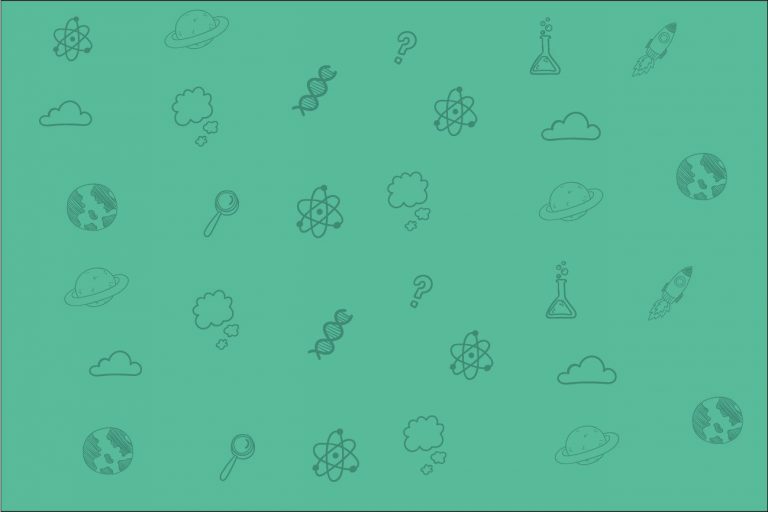 There’s even a place at the end to go over what you’ve learned. 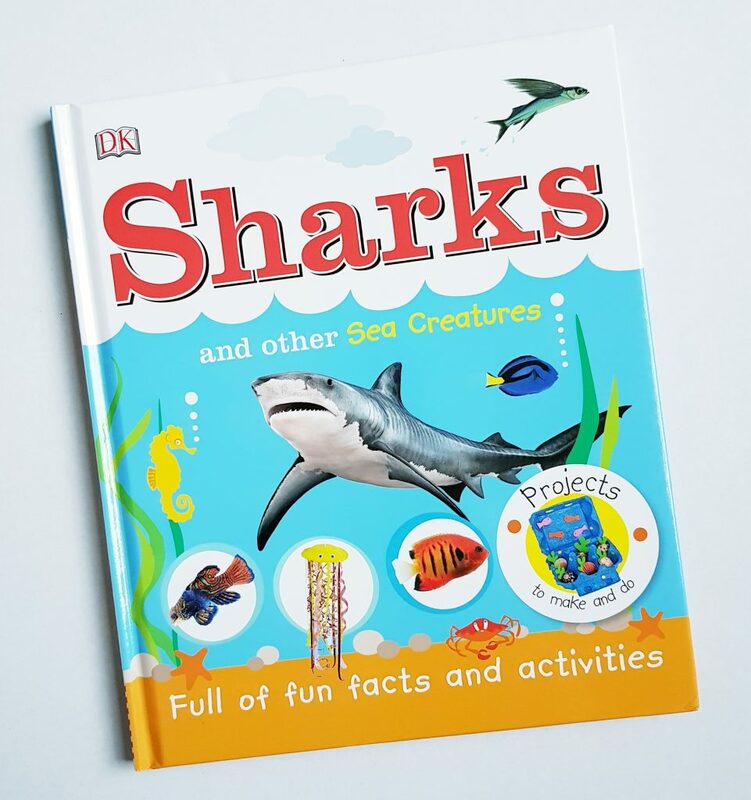 Sharks and Other Sea Creatures (DK). Every child I’ve ever met thinks sharks are cool! This book has plenty of information and illustrations. 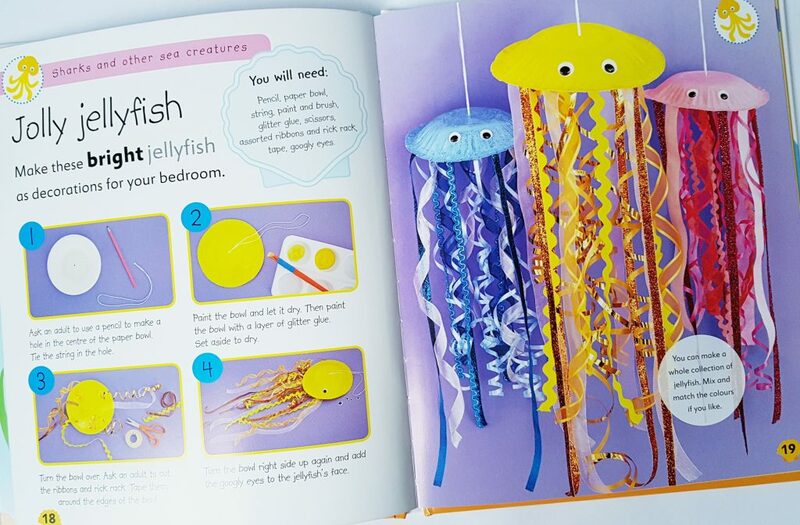 There are also lots of crafts and activities related to the different sections in the book. 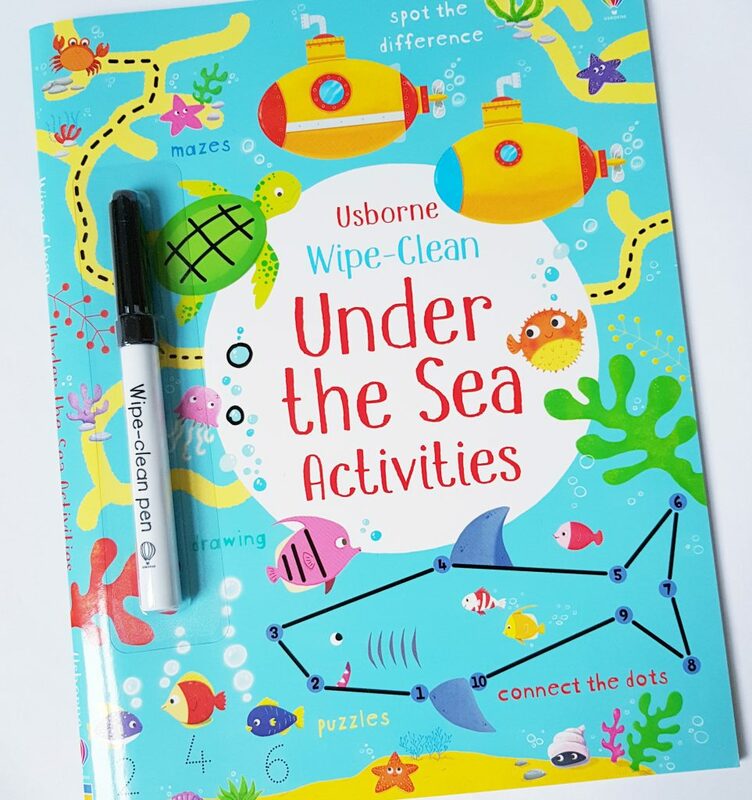 Wipe-Clean Under The Sea Activities (Usborne). These wipe-clean books are amazing. Children like doing things over again, and they last a long time. They’re also very useful when you’re traveling, as the plastic pages are very robust. The activities themselves are a lot of fun, especially for practicing things like counting and using a pen for younger children. 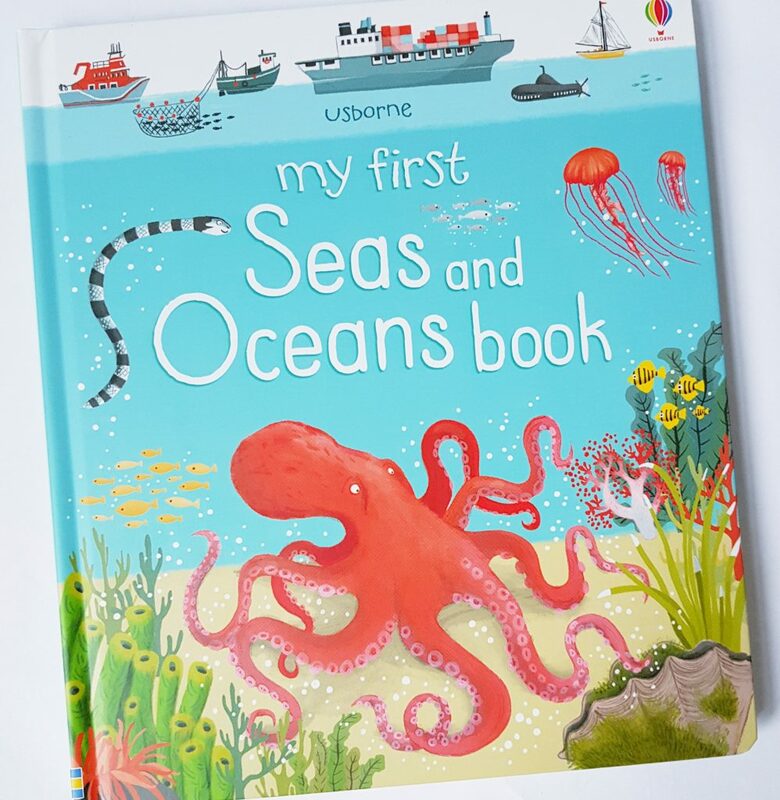 My First Seas and Oceans Book (Usborne). This is like a board book with thinner pages. It means it’s very sturdy and can cope with being used by little hands! 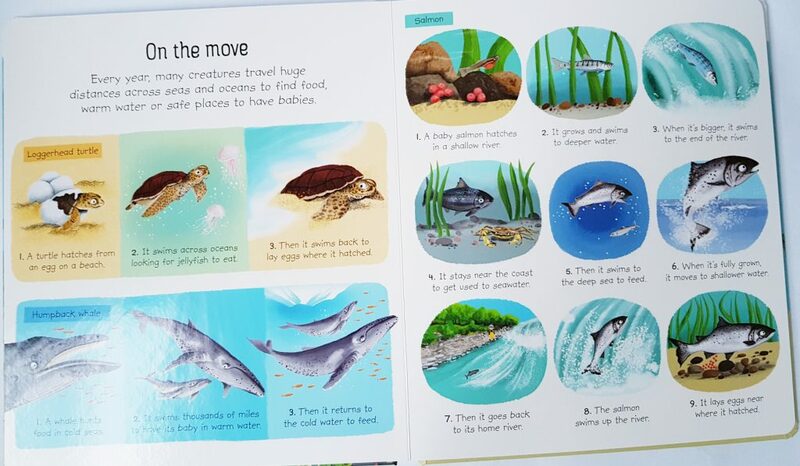 As with all Usborne books there are lots of pictures and easily digestible information. 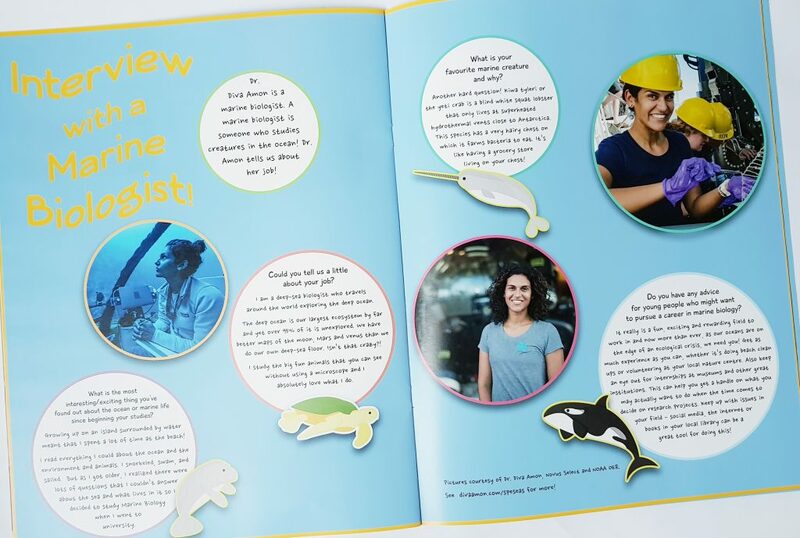 Finally, a book and activity in one! 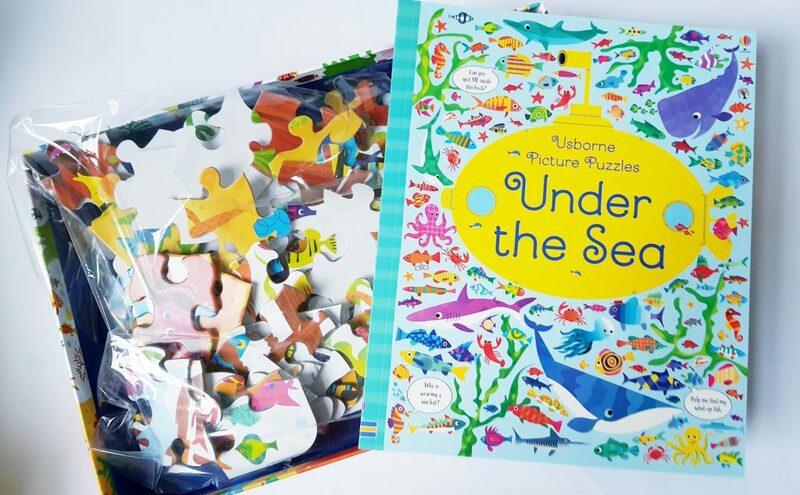 Under the Sea Book & Jigsaw (Usborne). 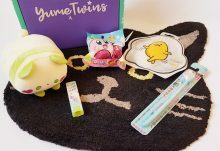 The pieces are a good size for little hands, and while younger children will need more help, it is a of a perfectly manageable size. 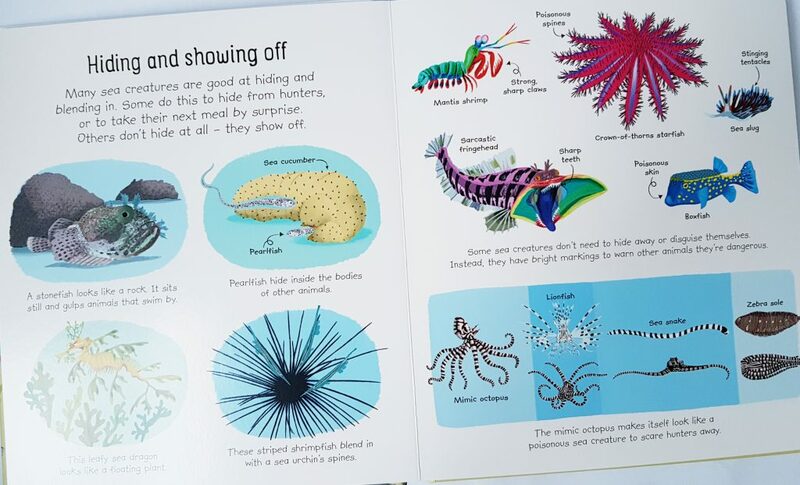 Te book is of the type where you spot things in the pictures. 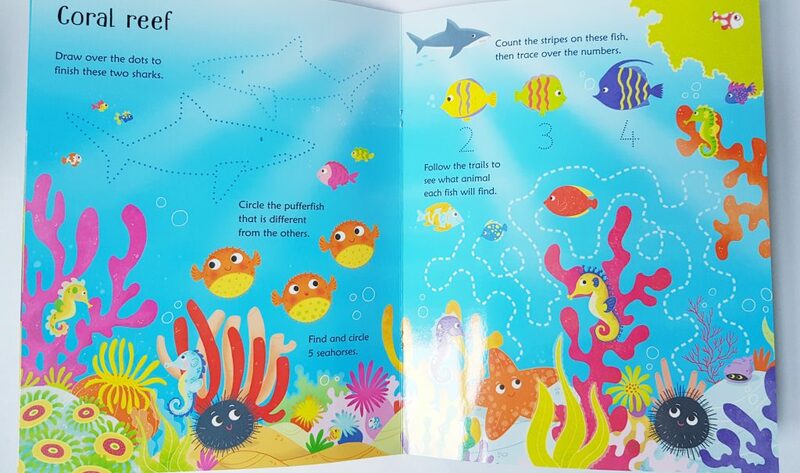 This is great for observational skills and concentration, and children are incredibly sharp-eyed! First, I think the theme is terrific. 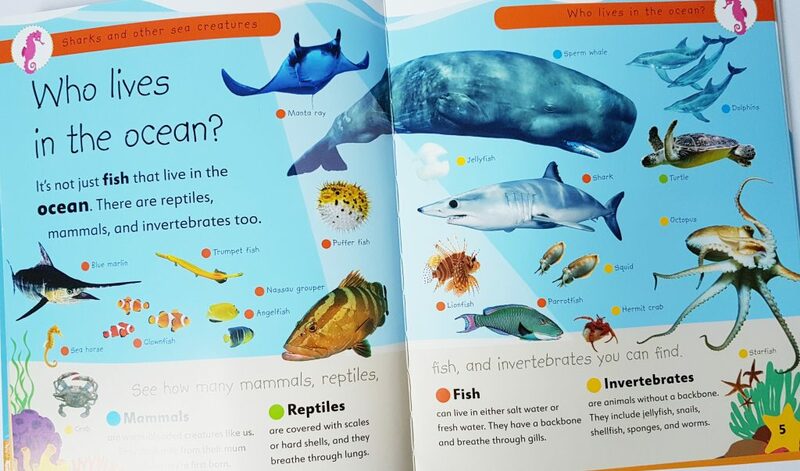 The oceans and sea life are so interesting, and it also helps with environmental awareness. It is also completely neutral, and designed to appeal to all children. The selection of books is very well thought out. They combine reading and doing, and use all kinds of different skills. You’ve got lots of observation, fine motor skills, problem-solving, and just drinking in knowledge! There are also lots of lovely craft activities to do, which will be very useful on rainy days. 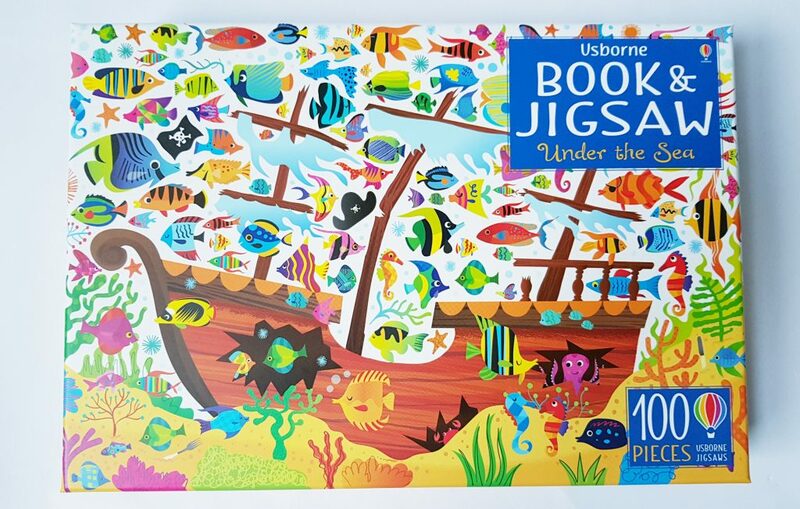 I’m a huge fan of Usborne books, they are some of the best children’s reference books, and these will find a place on children’s shelves for a long time. The magazine has some very well-thought-out content. 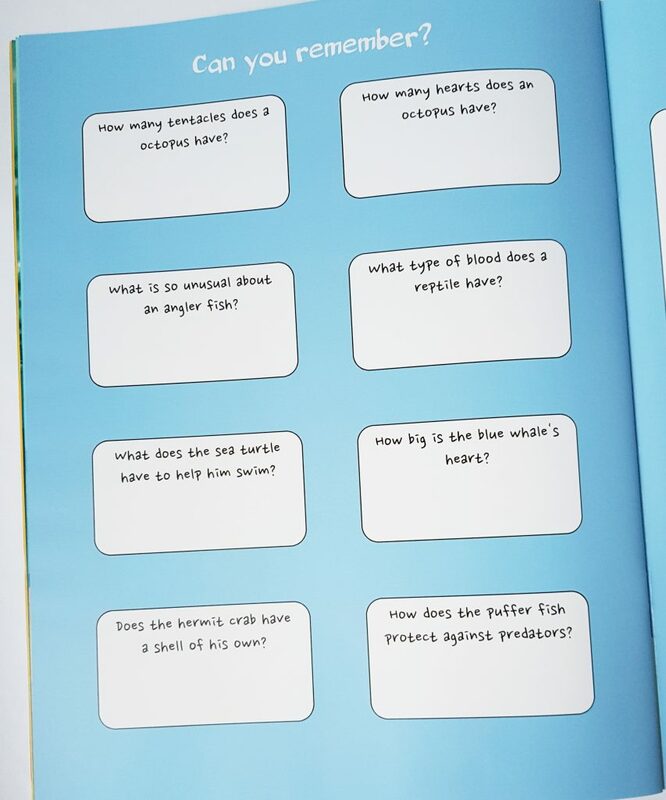 Young children will need an adult to read for them, so there is opportinuty for lots of communication and discussion, and there’s plenty to look at, and the questions at the end are great for conversation. Both interviews are with women, which I think are wonderful examples of role models and especially inspirational for girls. 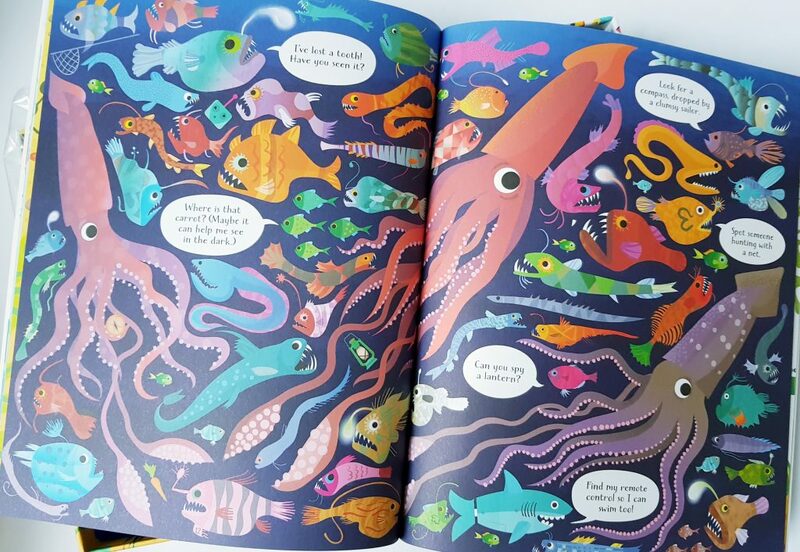 While the younger age range for this box is less likely to be reading, there are lots of pictures, and they are wonderful to share with an adult. The quality of the books means that they will last be be looked at for a long time, first with an adult, and later on their own. I love the idea of a themed box of books showing up every three months! They cover all the bases, they’re designed to be kept, and they’re interesting enough that children will keep going back to them. Children can never have too many books (neither can anyone else!) 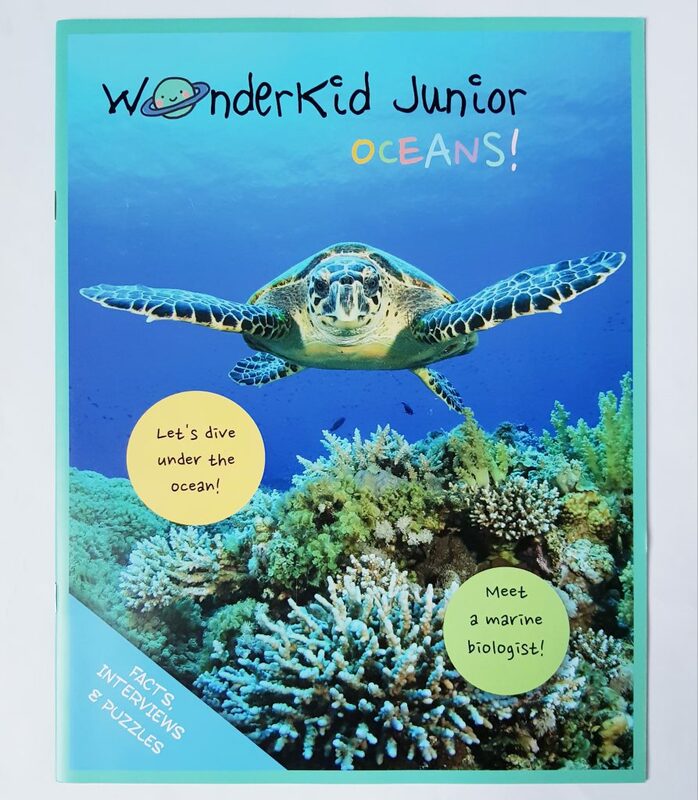 and this is a wonderful way to engage your children with interesting subjects and build a fantastic reference collection that will last them a long time! How would you rate WonderKid ?